It figures that someone who had his first golf lesson with a pro named Nicklaus might go on to greater heights. Even though it’s not that Nicklaus (Jack), Cameron McCormick holds the distinction as the PGA Teacher of the Year for 2015 as announced this summer by the PGA of America. 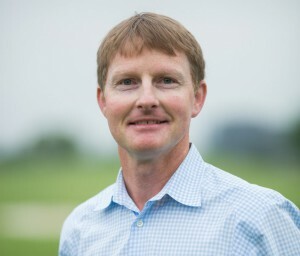 Best known as Jordan Spieth’s longtime teacher, McCormick is PGA Professional and Director of Instruction at Brook Hollow Golf Club in Dallas. Next year, he’ll be the Director of Instruction at Trinity Forest GC, a new Coore-Crenshaw design in Dallas. A native of Australia, McCormick began his teaching in the U.S. in 2000 at the Lakes of Castle Hills GC outside Dallas followed by successful stints as an Assistant PGA pro at Dallas CC and as Director of Instruction at Brook Hollow GC, also in Dallas. In this time, he built up a client base of more than 350 students, including a number of top-notch junior, college, amateur and professional players, while averaging 1800 hours of instruction annually. Six of the current top 75 ranked juniors in the United States work with McCormick, including 2015 U.S. Junior Amateur Champion Philip Barbaree. The PGA of America recognized McCormick for his various teaching initiatives at Brook Hollow. McCormick runs a junior development program “that cultivates skill development from basic-to-advanced levels with a long-term outlook toward fostering the growth of the game’s next generation of competitive elite.” Also, McCormick co-founded Birdies for Kids, a program that promotes golf to a diverse group of young people in North Texas. Since its founding in 2004, Birdies for Kids has raised $1.42 million for children charities with McCormick serving as the leading fundraiser in 10 of the 11 years. McCormick, 42, has been married 15 years to his wife Somer whom he met at Texas Tech University. They have two children, a 7-year-old girl named Bella and a 5-year-old boy named Callan. Thoughtful and articulate on a wide range of golf topics including learning theory, McCormick was currently reading, at the time of this interview, Getting Unstuck by Tim Butler, a life performance book, and a book about public speaking titled Resonate by Nancy Duarte. The last tome will come in handy as the affable McCormick accepts his award next month at the PGA of America’s 99th PGA Annual Meeting in Palm Beach Gardens, Florida. Previous recipients have included teachers such as Gary Wiren, Jim Flick, Harvey Penick, Martin Hall, Mike Bender, Hank Haney, Kathy Gildersleeve-Jensen and Todd Anderson. Talk about the short game drills you imparted to Jordan? Over the years, we’ve played many games to hone his short game. In a nutshell, we try to think outside the box in order to source a unique solution for a unique shot or situation. We’ll have a traditional practice session with repetitions to feel a particular shot but it will invariably transition into a game or score of some sort, in order to instill competitive pressure. So it’s both skill and challenge-based. We’ve had some epic challenges in these practice matches with the wedge and putter. In the early years, I would get the better of Jordan. But after a few years, his skill set improved and he jetted past me. Was there a tipping point when Jordan arrived as a highly skilled and championship player? There were a few key tournaments that accelerated his growth and confidence as a player. The first occurred when he won his first AJGA All-Star (American Junior Golf Association) tournament in 2007 in Fort Worth, TX. It was against competition that had been beating him quite consistently. As background, that previous winter we had made some significant swing changes so we faced a litmus test of sorts in spring competition. When he won, it was a breakthrough for Jordan seeing himself competing on a bigger stage. The other significant tournament was at an AJGA Invitational tournament in Houston. The youngest player in the field, Jordan finished in the top ten. On his last hole, a very long par-four, he hit drive, three-wood, and then got up and down to a back pin for a sensational par. Afterwards, he called me and was so excited and happy with how he’d played and finished. Of course, in 2010 when Jordan made the cut and contended as a 16-year-old in the Byron Nelson Championship, it was another seminal moment. All of them were milestones and represented paradigm shifts. What’s your definition of confidence and how does a teacher and coach foster it with someone like Jordan? Coaches and teachers can definitely foster confidence. It’s all about experience and balancing both challenges and success. Confidence is the self-belief in the ability to produce an intended outcome. It’s a function of predictability based on successful experiences. And it’s not being distracted by a wide degree of focus, say by the periphery of the ‘what ifs.’ For someone like Jordan, it could come down to an eight-iron shot to a tight pin, sizing up all of the variables beforehand, and then narrowing his focus to successfully execute the shot. How has your teaching and coaching changed with him? With all of my students, it’s ever changing based upon their needs and where they’re at with their game and goals. It’s akin to a sailor being out on the water trying to chart a course from point to point but the wind is changing and shifting. Likewise, a coach and a teacher must also adapt. For example, after Jordan finished second at the Masters in 2014 a lot of our sessions and conversations thereafter were all about psychology. It wasn’t talking about any negativity from that experience; rather it was reinforcing the positive aspects of his performance. Sometimes we’ll spend 45 minutes talking through a pivotal moment or situation in a tournament. Talk about the importance of communication in your teaching and coaching. It’s vitally important. I would start off by saying I try to avoid a “data dump” approach with my students. And that’s not saying I’m devaluing technology as a diagnostic tool. But “data dump” to me is saying too much. In my philosophy, less is more when it comes to communication. It’s saying the right thing at the right time and allowing at times for the player to struggle during a teaching session. It’s not rushing in and providing a solution or a remedy for him or her. It’s really a hidden curriculum within teaching for students to self-source and find their own way to their goal. What does Jordan do with his hands to account for his amazing club face control? Jordan has a unique club release process. There may be only five or ten other Tour players that resemble Jordan in how he releases the club. And this isn’t to say there’s an advantage to what he or others are doing. It’s something that’s been natural to Jordan ever since he first came to me. He’s always had great face control. But the reason for his ball control is because he has very nuanced and refined awareness. He knows where that club face is, he knows the path at all times. When I first watched Jordan swing a club in our initial session, I was very impressed. He didn’t have a complete skill set, he didn’t have high ball flight and didn’t have a lot of distance. But he could move it right to left very easily while moving it left to right was more of a struggle. He knew what he needed to change and he wasn’t afraid to do it. In simple terms, Jordan and other top players have great control at the bottom of their swings. In reading a recent interview, Jordan admitted he had a very “short fuse” as a junior golfer, saying he “wasn’t fun to be around on the golf course” when things weren’t going well. Please comment because it’s a side of Jordan that would surprise most of his many fans. What Jordan went through as a junior golfer is all about human nature and maturity. Even at my age of 42, I certainly hope I display better discretion now than I did at 22. I give people a pass on behavior that’s not conducive to good performance so long as they recognize it and make an honest effort to change. What I like about Jordan is how self-deprecating he can be; he has no problem publicly pointing a finger at himself. He provides an open window to his world and what’s he experiencing in terms of his challenges. It’s really refreshing to see Jordan open himself up in this way. I think it’s preposterous when some people question Jordan’s animation on the golf course. It’s integral to him and a basic part of his personality.